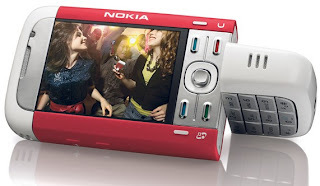 I'm a happy owner of Nokia 5700 XpressMusic. As i read in some reviews, it is "For those not obsessed with anorexic phones" :D It's a smartphone with advanced music features. It fits my needs since I'm a music person and a geek :) I use it as a music player when I'm out and walking by myself, I use it to check my gmail and browse something on the net, I even have office applications that let me read word, excel, ppt and html files :) I watch videos when I'm in a public transport and bored, and i use the photo camera to take photos of some new clothes and shoes that i try on in boutiques, but hesitate about buying them. So i make their photos to review them later and decide to buy or not. That's why i was so desperate when it died 2 days ago. A friend called me home (!) since i wasn't 'picking' the phone. In fact, i didn't receive any calls and when i tried to check it, it suddenly froze. I switched it off (normally, from the menu) and couldn't turn on again. It wasn't going further after the initial white screen with Nokia logo and didn't react at anything. It also refused to turn off normally, i had to take the battery out for that. I took it to the service center on Lusavorich street. The customer service guy was nice, he asked what had happened and i described. Luckily it's guarantee expires in June so i could have it fixed for free. He told that they'll call within 3 days and also told that they might format it and reinstall the firmware so all the data will be lost. I was lucky to backup it couple of days ago. 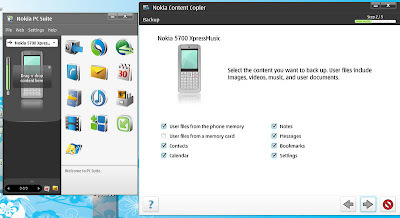 I wanted to install an audiobook application (Audible) and downloaded the latest Nokia PC Suite (7.1). It installed normally and i did the full backup of my Contacts, Address book, Notes and Calendar memos and the phone settings just in case. The next day morning they called and i went to pick it up. It had a new firmware installed and i happily took it home and started to restore my data from the backup. In the middle of restoring the phone suddenly restarted and the same story with the white screen with logo happened. I was so upset! I had to took it back there, and maybe also the backup file asking to reformat it restore it again. The problem was that the customer service guys supposedly wasn't the one fixing it and he was passing it to other technical people, and when i was telling him about PC suite, backup etc, he was looking at me as if i was speaking Chinese. Oh and he called the memory card - "chip". I hate it :D I had to get in touch with technical people and ask to perform the restore themselves and identify the problem. 1. Then i tried googling about it and found other people having the same problem. I found different discussion boards with some solutions offered. Mostly they were recommending to format the phone and reset the factory settings by pressing "* + 3 + call" and switch the phone on. I tried it, but my phone didn't react. Some hours later, when i was about to take it to the service center again, i tried the "* + 3 + call" again and it worked !!!!!!!!!! And i tried to restore my data again - with the PC suite content copier, this time only the contacts. It stuck in the middle again, the phone restarted with white screen with a logo. I did the reset of factory settings again and started to find alternative ways of recovering my address book. I realized that the problem might be in the backup file and not the phone. 2. I downloaded the Nokia software updater and tried to update the firmware of my phone, which turned to be up-to-date. 3. 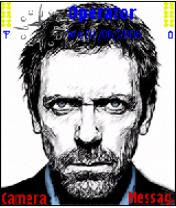 I browsed for the backup file in my comp., and it had ".nbu" extension. 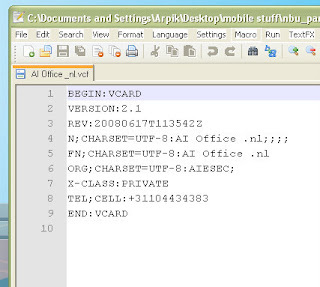 I searched for .nbu extracting software and found Noki. It is sharewere and i could extract only limited amount of data. I downloaded the latest version 1.7. 4. Then i tried doing another backup of my nearly empty phone and extract that backup with Noki. It returned the same unknown error :) so this time it could be a problem with Noki. then i tried to yandex for that application, since it was mentioned to be russian :) and i found many links! 6. I exported the contacts in .txt (the first button) and they contained the descriptions in russian :/ So they wouldn't go well in my phone with english interface. 7. 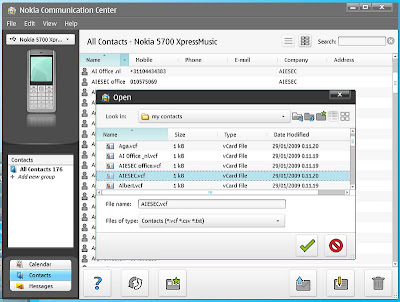 Then I imported the files with Nokia PC suite's Communication Center. So the most important part was done, i recovered all my 176 contacts to the phone. The messages from inbox could be recovered with NBU parser, but they were in .txt format and didn't go back to the phone with similar way. The messages tab of Nokia Communication Center didn't had importing messages active for some reason. And they were in .txt so it wouldn't display normally as before (with the correct sender, dates etc). I decided to keep them as an archive in the computer and not to try to put them back, i didn't have any message to be kept in phone. 8. Then i tried to do something for the notes. The Noki application was crashing and i searched for other versions of it. I found and downloaded an older version - 1.6, and it extracted all perfectly :) The messages were in .vmg format, recognized by the PC suite. But still i couldn't put them back (though didn't try hard for that), and there were only 50 of 270 messages. Noki is sharewere and extracts a limited number of messages at the trial period. But i exported the Notes and Calendar entries in .txt. I put back the notes by copying them to the phone. As for the calendar entries, i didn't try to put them back, since there were not important. Hopefully my description will be helpful to somebody else. I was happy to have bought the phone from the authorized dealer, so that i had the 1-year guarantee and the normal customer service. Before taking the phone to the customer service for alternative solutions :) some things can be done easily at home, like reverting the factory settings. Google for the similar issues. Never stop trying, even if it seems useless. Don't install suspicious applications or at least backup the phone before. I found good tips here. thx. 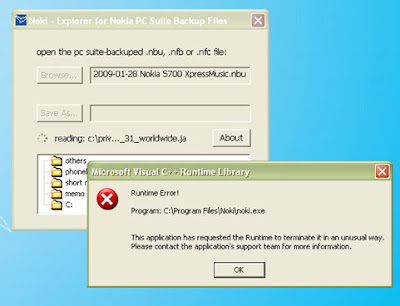 The new Noki v1.9 has fixed the run time error problem with mms database support. Please check.